A building is considered zero net carbon when it has zero net energy consumption, meaning the total amount of energy used by the building on an annual basis is roughly equal to the amount of renewable energy generated on-site or procured locally. ZNC buildings contribute significantly less overall greenhouse gases to the atmosphere than similar non-ZNC buildings, thereby transforming the built environment into an integral part of the climate solution. 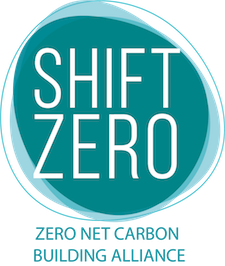 For more information about ZNC buildings, please reference the zero net carbon definition white paper issued by Architecture 2030, New Buildings Institute, and Rocky Mountain Institute. A ZNC building (ZNC) is defined as a highly energy efficient building that produces on-site, or procures, enough carbon-free renewable energy to meet building operations energy consumption annually. To reach ZNC, these buildings first maximize energy efficiency, then maximize on-site renewable energy generation as practical, and then procure off-site renewable energy that is additional, local, equitable, and legally assigned to the building.